If you have lower back pain and get it treated with physical therapy first, you are significantly less likely to later need opioid medication or high cost medical services, according to a new study in Health Services Research. Researchers at the University of Washington and George Washington University analyzed health insurance claims for over 50 million people from 2009 to 2013, tracking patients who had a new diagnosis of lower back pain. Compared with patients who saw a physical therapist later or not at all, those who saw a physical therapist first had an 89% lower probability of having an opioid prescription, a 28% lower probability of having an MRI or advanced imaging, and a 15% lower probability of having an emergency department visit. Their healthcare costs were also significantly lower for out-patient care, pharmacy and out-of-pocket expenses. “We found important relationships among physical therapy intervention, utilization, and cost of services and the effect on opioid prescriptions," said co-author Ken Harwood, PT, a professor of physical therapy at George Washington University. One unexpected finding is that patients who had physical therapy first had a 19% greater chance of being hospitalized. “Having an in-patient hospitalization is not necessarily a bad outcome for a patient. PTs (physical therapists) provide care that aims to resolve LBP (lower back pain) by addressing musculoskeletal causes ﬁrst, but if the problem does not get resolved, PTs may refer patients appropriately for more specialized care,” the study found. One out of every four Americans will experience at least one day of lower back pain every three months. Researchers say about half will be treated with opioid medication, while physical therapy (12%), exercise (19%) and psychological therapy (8%) will be recommended far less often. "Given our findings in light of the national opioid crisis, state policymakers, insurers, and providers may want to review current policies and reduce barriers to early and frequent access to physical therapists as well as to educate patients about the potential benefits of seeing a physical therapist first," said lead author Bianca Frogner, PhD, a professor and health economist at the University of Washington Center for Health Workforce Studies. Lower back pain is the world’s leading cause of disability, affecting about 540 million people at any given time. But there is little consensus on the best way to treat it. A recent series of reviews appearing in The Lancet medical journal found that lower back pain is usually treated with inappropriate tests, risky surgeries and painkillers. Can a Junk Food Diet Cause Osteoarthritis? Does what’s in your gut influence the pain in your knees? New research on mice at the University of Rochester Medical School suggests that it might, but the results are far from conclusive. Researchers fed one group of laboratory mice a high fat diet that included red meat and milkshakes, and another group of mice a healthier low-fat diet. Both groups of mice had their knees surgically damaged to mimic the effects of osteoarthritis -- “wear and tear” arthritis that is often associated with age, obesity or injury. Twelve weeks of the high fat diet made the mice obese and diabetic and led to more seriously damaged joints. It also created an imbalance of harmful bacteria in their digestive tracts. One group of the fat mice were then given a supplement containing the prebiotic fiber oligofructose (also available as an over-the-counter probiotic). The researchers said the supplement did not cause the mice to lose weight, but it did greatly improve their blood sugar levels and the balance of healthy bacteria in their gut. More importantly, the study concludes, the mice that were given the supplement also had healthier joints than the control group. The University of Rochester study concluded that prebiotics and the correction of gut bacteria might help protect against osteoarthritis caused by obesity. And one of the researchers, Dr. Robert Mooney, told Forbes that the study suggests osteoarthritis may be accelerated or even caused by inflammation. "That reinforces the idea that osteoarthritis is another secondary complication of obesity--just like diabetes, heart disease, and stroke, which all have inflammation as part of their cause," said Mooney. "Perhaps, they all share a similar root, and the microbiome (digestive bacteria) might be that common root." However a critique by Britain’s National Health Service (NHS) said that conclusion might be premature. “It's presumptuous to conclude that an imbalance of gut bacteria could be directly linked to risk of osteoarthritis in humans from the results of a study in mice with artificially induced knee damage. As such, there's no compelling evidence that prebiotics would prevent or reverse osteoarthritis,” the NHS said. Osteoarthritis is a joint disorder that leads to progressive joint damage. It can affect any joint in the body but is most commonly felt in weight bearing joints such as the knees and hips. Nearly 40 percent of Americans over the age of 45 have some degree of knee osteoarthritis. Previous studies have also found a link between a high fat diet and osteoarthritis. Australian researchers reported last year that a diet rich in animal fats, butter and palm oil weakens cartilage and produces osteoarthritis-like changes in the knee. The University of Rochester researchers hope to include humans in future studies on the effects of diet on osteoarthritis. A few months ago, Vietnam veteran Gregg Gaston was depressed and suicidal. Gaston shared his story with PNN readers in a guest column, telling how he suffered from years of chronic pain caused by a failed back surgery, peripheral neuropathy and post-traumatic stress syndrome (PTSD). Despite his pain, Gaston’s doctor told him he was being cut back to a single dose of tramadol, a mild opioid analgesic. That was the last straw for Gaston, who at the age of 62 was fed up with debilitating pain and doctors who no longer wanted to treat it with opioids. In protest, Gaston fired his doctor and refused to fill his last prescription for tramadol. Fast forward three months and there’s been a remarkable change in Gaston’s mood and quality of life. The folks at BioWave, a Connecticut medical device company, saw Gaston’s column and sent him one of their neurostimulation units, which use high frequency electrical impulses to block pain signals. Before he started using BioWave, Gaston says his pain level was usually a 7 or 8 on the pain scale. Today, even on a bad day, it’s only a 3. Think of BioWave as a more advanced version of a TENS unit. Electrodes wired to a battery and control unit send two high frequency signals through the skin into deep tissue, where they stimulate blood flow and block pain signals. Each treatment takes 30 minutes, and the pain relief can last anywhere from a few hours to a few days, depending on the patient and their condition. BioWave has been around for a few years but is not widely known. It was first used by professional sports teams to treat athletes with sprains, tendonitis, muscle pain and other injuries. When it proved effective in treating chronic pain, dozens of pain clinics and VA hospitals started using BioWave devices. “Most of the treatments deal with chronic pain and I would say the majority deal with lumbar and cervical pain. That’s probably the bread and butter for our device, but certainly any extremity pain in the shoulder, elbow, elbow, wrist or ankle. We can really treat almost any location on the body,” says Brad Siff, BioWave’s founder and president. The company says over 75% of patients respond to BioWave treatment, with a significant improvement in their pain scores, mobility and stiffness. The device can even help patients with complex conditions such as arachnoiditis, a chronic and incurable spinal disease. “There’s a handful of anecdotal data that we have where arachnoiditis patients have responded. Similarly, patients with failed back surgery have been treated with BioWave and it helped them," Siff told PNN. "I’m not saying it reduces their pain 100 percent, but some may get a 30, 40, 50 percent reduction in their pain and it lasts for a long period of time following the treatment." 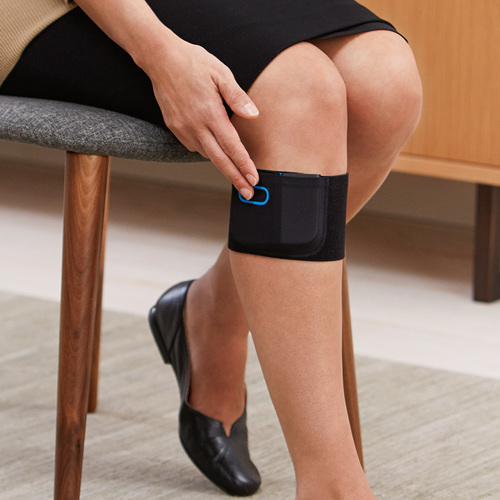 BioWave is currently available only by prescription, but later this summer the company hopes to get FDA approval for a wearable over-the-counter home unit that can be purchased directly by patients. The final pricing hasn’t been determined, but Siff expects it to be between $300 to $400. For more information, you can visit BioWave at their website by clicking here or by emailing them at info@biowave.com. A year ago, I began this series of columns on alternative therapies for chronic pain management. There are so many different treatments, we presented many of them by letter – the 4 A’s, the 4 C’s, the 4 E’s, etc. This is my final column in the 12-part series. In all, we covered 48 different treatment options. But we only scratched the surface. There are literally hundreds of alternative pain therapies and I've tried many of them myself. Many didn’t help me or provided only minimal relief. But I know of others who received great benefits from them. This final month I am spotlighting trigger point injections, virtual reality, yoga and the yucca plant. Trigger point injections can be beneficial in treating myofascial pain syndromes. That is when a patient has chronic musculoskeletal pain in specific parts of a muscle where a knot has formed due to inflammation. This is known as the “trigger point.” Steroids or analgesics (or both) are injected into the trigger point area to get the knot to release and the muscle to relax. I have had trigger point injections done on my wrist and shoulder at various times. Although it was helpful long-term for my wrist injury, which occurred prior to my developing reflex sympathetic dystrophy, it was not as helpful with managing the RSD symptoms in my shoulder. I could usually feel the muscle knots under my skin, but that was not always the case. I would also get a twitching response, which my doctor first thought was a sign of low calcium. But after ruling that out, he realized that it was tight muscle fibers and inflammation. There are risks with any type of injection. 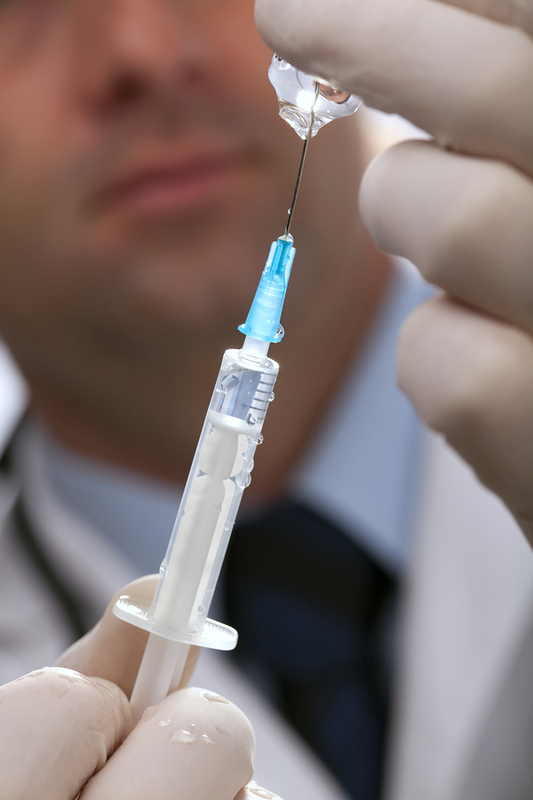 The injection or solution can cause damage to the skin and small nerve fibers, or cause infections and bleeding. If you think that trigger point injections could help, talk with your doctor first to find out if this would be a good option for you. Virtual reality (VR) has been used in different forms of pain management since 1996. It operates under the theory that pain perception can be reduced by refocusing the patient’s attention away from their pain. Typically, that means wearing a headset or goggles that provide a 360-degree view while watching a realistic video or animated game. VR was first used to alleviate severe pain in patients treated at a burn center in Seattle, Washington. Since then, it has shown to be effective in treating acute pain in hospitals or when patients undergo lengthy testing procedures and need a distraction. I am hearing more and more from providers that VR can help lower the need for medication. VR is a fun activity that my husband and I have both tried. We quickly realized that it had therapeutic benefits and helped me to relax and keep my mind focused during long MRI’s and infusions. Like most therapies, the benefits of VR are usually short term. But VR is a promising field that is likely to improve as technology and personalized experiences are brought together in practice. Yoga is a mind-body exercise that uses controlled breathing, meditation and movements to stretch and strengthen your body. There are several types of yoga and people have been using yoga moves and thinking for thousands of years. The emphasis for all of them is on treating the mind and body equally. Yoga can be used for pain relief for many types of chronic conditions, but patients must be cognizant of not pushing themselves into a flare by doing too much at one time. One study found that patients with chronic low back pain who took a weekly yoga class increased their mobility more than standard care like physical therapy. Other studies have shown that yoga is comparable to exercise therapy in relieving symptoms from arthritis, fibromyalgia and migraine. I have been using yoga in modified positions to strengthen myself. I don’t push myself too hard, because when I did I found myself in a pain flare. But when I go slow and easy, I find that it helps me build strength. For example, I will do the moves in a chair instead of on the floor and skip certain positions that may aggravate my pain. Practicing yoga has also helped with my mood, positive thinking and overall well-being. A typical yoga session lasts 45-90 minutes; mine are shorter, about 15-20 minutes at a time. Many people will go to a yoga class, but I do it at home using routines that I modified. Each session usually begins with deep breathing exercises that help me relax and lower stress levels. Then I use a series of yoga positions that are either seated, standing or laying down. Some positions are done quickly and others are held for a few minutes. If it starts to get too much for me, I stop or take a break. At the end of the yoga session, I go back to breathing and mediation exercises to cool down. Be sure to modify your yoga to fit your needs. Doing some movement and breathing is better than nothing, even if it’s only a few minutes each day. The Yucca is a plant with more than 40 species that typically grows in desert regions. It is used to make medicines for many conditions, including migraines, headaches, gastrointestinal disorders, osteoarthritis, high blood pressure, diabetes, vascular constriction, and more. Yucca medications are applied directly to the skin, made into extracts, or used in carbonated beverages. Some Yucca compounds have even been used in the manufacture of new medications. I first heard about the use of Yucca derivatives to treat pain while on a tour of the Desert Botanical Gardens in Phoenix, Arizona. That was where I found out that the Yucca can be used to treat sores, bleeding, sprains and joint pain. My husband is almost bald, and they suggested some people even use it for baldness. Researchers have found several Yucca compounds that are similar to anti-inflammatory medications. Some of the chemicals in Yucca can also help reduce blood pressure or control cholesterol levels. For me, it helps reduce osteoarthritis symptoms by lowering the aching pain, swelling and stiffness I deal with. The Yucca plant is native to the southwest United States, where I currently live, as well as Mexico. Around here it is common for people to use the bark and root of the Yucca as a dietary supplement to promote joint health. There are even Yucca products on the market for treating pain in horses, dogs and other animals. My alphabet series on alternative pain management is meant to spark ideas and discussion about treatments that you may not have known about before. Before you try any of them, I encourage and remind you to talk it over first with medical professionals who are familiar with your past and present care. It is important to also remain open minded about your options and only do what you are comfortable with. There is no cure yet for chronic pain. So the more proactive we are in managing the symptoms -- even if we don’t get complete relief -- the better off we’ll be. Being positive, hopeful and creative in finding new ways to manage our conditions can help get our pain levels down. The 4 A’s: acupressure, acupuncture, aromatherapy and art therapy. The 4 C’s: Calmare, Chinese medicine, chiropractic, and craniosacral therapy. The 4 E’s: energy therapy, electromagnetic therapy, equine therapy, and exercise. The 4 F’s: faith healing, Feldenkrais Method, food, and functional medicine. The 4 H’s: hypnotherapy, hyperbaric therapy, holistic living and herbal therapy. 4 Infusions: Ketamine, lidocaine, immunogoblins and stem cells. The 4 M’s: Mindfulness, magnets, massage and music. The 4 N’s: Nerve blocks, nitric oxide, neurotransmitter regulation and nabilone. The 4 O’s: oral orthotics, orthomolecular medicine, osteopathy and occupational therapy. The 4 P’s: Physical therapy, pain medications, prolotherapy and psychology. As I have stressed in all 12 articles, each of us is different, even if we are living with the same diseases. Your task is to find creative, effective ways to get the pain conditions you live with under control. I look forward to reading what worked and didn’t work for you. This is the 11th month of my series on alternative therapies for chronic pain management. As I have stressed month after month, each of us is different, even if we are living with the same diseases. No one treatment works for everyone. We must find creative and effective ways to get our pain levels lower. This month I am shining a spotlight on four treatments that may help you or your loved one in chronic pain: Quell, radiofrequency ablations, reflexology and sonopuncture, also known as sound therapy. I have tried all four of these treatments with varying degrees of success. Quell is a wearable medical device that uses electric nerve stimulation to deliver relief from chronic pain. I have tried this device and passed it on to some of my friends with back, arthritis, nerve, leg and foot pain. For me, the relief was not as significant as I had hoped, but I have a friend who has used it daily for a year and swears that it helps her leg pain. NeuroMetrix, the maker of Quell, designed the device to be worn on the upper calf muscle. It was small enough to wear under my sweatpants and not too big or bulky to get in the way. The device sends neural pulses through the central nervous system to the brain to trigger the body’s own pain blockers. It has a variety of stimulation patterns and sleep modes, and the intensity of therapy can be adjusted through an app. If you have tried a TENS unit or Calmare and gotten some relief, this might be a successful tool to help you manage your pain. A Quell starter kit costs $249. Each unit comes with the device, leg band, two electrodes and charging cords. You have to replace the electrodes about every two weeks with normal use, but the battery is rechargeable. I believe Quell is an option that is worth looking into and they have a 60-day moneyback guarantee if it doesn’t help you. Radiofrequency ablation (RFA) uses heat to stop the transmission of pain. Radiofrequency waves “ablate” or burn the nerve that is causing the pain. The nerve stops sending pain signals until it regrows and heals from the ablation. RFA is most commonly used to treat chronic pain caused by arthritis and peripheral nerve pain. I had RFA procedures 36 times from 2005 to 2008. It never took my pain away but did lower my pain levels and helped take the edge off. The doctor performed them on the ganglion nerve bundle in my neck. My insurance covered the procedures and it was helpful in keeping the need for high dose pain medications down. RFA procedures are typically done in an outpatient setting under local anesthetics or conscious sedation anesthesia. The procedure is done under guidance imaging, like a CT scan or by ultrasound machine, by an interventional pain specialist. RFA is said to help in treating the desired nerve without causing significant collateral damage to the tissue around where the ablation is performed. Still, a patient should take precautions and understand that the ablation can cause trauma or injury to the body, and conditions such as CRPS or arachnoiditis can be exacerbated long-term with this treatment. When I was having RFA, it was one of the only options I had access to. Once less invasive options became available to me, I opted to stop these and nerve blocks all together. Reflexology involves the application of pressure to the feet and hands with thumb, finger, and hand techniques. Reflexology is very relaxing and calming for me but there is no consensus among reflexologists about how it works, and some technicians are better at it than others. 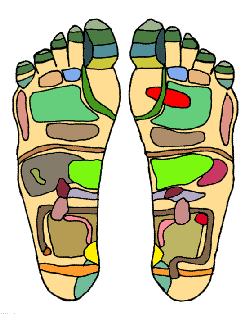 The research on reflexology is skimpy and it has not been proven as an effective treatment for any medical condition. It’s more of an approach to health lifestyle living, which can be of benefit to pain patients. This can help lower blood pressure and relax a pained body by taking the edge off. I can say reflexology did seem to help with my constipation issues, but I was doing it while taking OTC and prescription strength medications, as well as stretching and stomach massages. Sonopuncture is also known as vibrational or sound therapy. The idea behind it is similar to that of acupuncture, although instead of needles they use sound waves. Sonopuncture practitioners believe that sound waves stimulate the body into healing. Sonopuncture was recently highlighted on an episode of “Keeping Up with the Kardashians” when Kendall Jenner was going through some anxiety challenges. I have used sound therapy myself to help with the stress of living with chronic pain and find it relaxing and mentally therapeutic. Typically, the patient lays down in a comfortable position on the floor or a massage table. The practitioner will used tools like a tuning fork, glass bowls, chimes, metal or electronic devices that emit harmonic sounds or vibrations on acupressure points for about a minute each. This is a noninvasive therapy and is suitable for all ages. Since no needles are involved, it could be seen as an alternative to acupuncture. With one in four patients afraid of needles, this could be a great way to calm your nerves and mind to help manage the challenges of living with chronic pain. If you are considering any of these alternative treatments, I encourage you to first talk with a medical professional who is familiar with your past and present care and can help you discover what would be appropriate for you. I don’t use TENS units very often. Since I wear the Quell on a daily basis, it usually seems superfluous -- unless I’m having a very bad day. Then my TENS unit makes an appearance, wires snaking under my shirt and sticky pads placed wherever I can get them. The power pack is latched to my pants, and the result is that I feel like a moron. Even if there is nobody at home to witness my treatment, I become self-conscious. My cat has an opinion, I’m sure. That’s why I was excited to try the Omron Avail TENS device. It’s wireless, has two large pads, and can be controlled from my phone. There’s no bulky battery pack to wear on my belt, no wires tangling me, and the pads themselves are larger than the unit I currently have. The coverage of more bodily real estate is always a winner for me. The Avail TENS is a wearable electrotherapy device that is designed to alleviate chronic muscle and joint pain. It has various pre-programmed settings designed for the shoulder, arm, back or leg; as well as modes that include both TENS and microcurrent, the latter of which applies electrical stimulation that one can hardly feel. The TENS modes are much stronger in sensation. I actually didn’t know that microcurrents were used in pain relief -- I thought they only applied to anti-aging treatments at spas. However, this therapy mimics the body’s natural currents, which are believed to restore normal frequencies within cells. I don’t know how well the microcurrent mode works yet, because I still experienced pain when I tried it. I imagine it takes some getting used to and that benefits accrue over time. However, the TENS mode works wonderfully, and having such large pads means that I can get more coverage. Treatment sessions run between 30 and 60 minutes, depending on the mode chosen. You can also set sessions to run indefinitely. To charge the sensors, they must be placed on a special charging box that comes with the device. I’ve managed to use it multiple times now after the initial charge. It is very easy to set up and use, as most of it is intuitive for a chronic pain patient. The device must be paired with your smartphone, and the app is fairly straightforward. The only thing that kept happening to me was that the pads would unlink with the app because I kept pressing the power button on the pads by mistake -- for instance, when I leaned back on a couch. The pads stay on well. The "help” section of the app states I can use them up to 30 times, and replacement pads range from $12.75 to $19.99. I might resort to using athletic tape to keep them on longer, as I do with normal TENS pads. I know that isn’t advised, but I want these pads to last as long as possible. Additionally, since my problem areas are on my back, sitting in a chair can be awkward. The pads stick out and rub against the seat, which turned them off once or twice. I don’t think the unit is meant to be worn all day, though, unless one plans to use microcurrents alone. The company only recommends that three TENS treatment sessions be completed on a daily basis. My overall impression is a good one. I like the device, and I think it works well. It controls my pain when I use the TENS settings. I just wish the sensors on the pads were thinner -- that would help my back-pained compatriots (and me) when leaning back into a chair. That seems like a small complaint for such a device, though. The Omron Avail is currently on sale for $159.99 (normally retails at $199.99). Jennifer receives products or services mentioned in her reviews for free from the manufacturer. She only mentions those that she uses personally and believes will be good for readers. You can read more about Jennifer on her blog, Wear, Tear, & Care. Acupuncture has been an integral part of Chinese medicine for thousands of years, but Western medicine still has trouble deciding whether needle therapy is an effective treatment for chronic pain. The latest example appears in the British Medical Journal (BMJ), with two opinion pieces written by doctors who sharply disagree about acupuncture’s effectiveness. One doctor with the British Medical Acupuncture Society feels it’s a safe and effective alternative to drugs, while two Danish researchers maintain there is no solid clinical evidence that acupuncture works. Hróbjartsson and Ernst point out that acupuncture has fallen in and out of favor -- even in China. In the 1700’s acupuncture was considered "irrational and superstitious" and it was latter banned from the Imperial Medical Institute. Not until Mao Tse Tung took over China in 1949 was acupuncture revived as a form of treatment – in part because there were so few doctors in rural areas. Acupuncture started gaining popularity in the West in the 1970’s, and medical guidelines in many developed countries now recommend it as a treatment for back pain and migraine. The UK’s National Health Service spends about $34 million a year paying for acupuncture treatments -- money that Hróbjartsson and Ernst believe would be better spent elsewhere. Mike Cummings says there is plenty of evidence that acupuncture works. The medical director of the British Medical Acupuncture Society, Cummings started using acupuncture in his own clinical practice in 1989. According to Cummings, the main reason there have been few clinical studies of acupuncture is lack of funding. Another large study found acupuncture significantly reduced pain severity, when combined with other treatments such as anti-inflammatory drugs. Gluten sensitivity has been associated with peripheral neuropathy -- a condition in which peripheral nerves become damaged, causing weakness, numbness and pain in the hands and feet. Diabetic neuropathy can also cause these symptoms, but when diabetes is ruled out and a person is sensitive to gluten – the pain and numbness might be caused by gluten neuropathy. Having lived with chronic pain for 21 years -- with diagnoses such as arthritis, TMJ disorder, endometriosis, hypothyroid, ischemia, seizures, reflex sympathetic dystrophy (RSD) and thoracic outlet syndrome -- I know what life with a chronic condition is like. I have tried many different treatment options, yet still have not found “the cure.” That doesn’t mean I have stopped looking. As part of my continuing alphabet series on alternative pain treatments, this month I am covering 4 P’s of pain management: physical therapy, pain medications, prolotherapy and psychology. Also known as PT and physiotherapy, physical therapy uses movement through manual therapy, exercise, and electro-therapy to improve range of motion, mobility, function and daily living. Used incorrectly, physical therapy can be harmful. It is very important to get a physical therapist that understands your health condition, knows when to push you and when to hold you back, and can teach you exercises you can learn to do independently. A good physical therapist will do research on your condition and help educate you about your body’s limits and potential for improvement. They will also be in regular contact with your doctor and other healthcare providers. Due to insurance practices in the United States, the number of physical therapy sessions is often limited and rarely lasts throughout a chronic illness. But many of the techniques can be continued at home on the patient’s time, once they learn how to do them properly. When I first started physical therapy, I did all of the wrong exercises because my therapist didn’t know or understand the conditions I have. My mentality at the time was no pain no gain, so we both over-worked me. It made things far worse than if had I done nothing in the first place. Once I was with the right physical therapist, I began to see improvements in my daily function. We learned together it wasn’t about pushing my limits, but more about working as a team to find ways around the physical limitations I had. When the average person hears the words “pain medication” they often think about opioids. But there are a many different types of pain medication available, including medical cannabis, NSAIDs, benzodiazepines, tricyclic antidepressants, alcohol, kratom, cox-2 inhibitors, and muscle relaxers. Based on my speaking with medical professionals and researchers, I believe that all options -- including opioids -- should be on the table when a provider is deciding what is best for the patient. I have heard from thousands of patients (of the millions who use opioids daily) who swear by two things. First, they have no other treatment option due to access or cost. Second, there is no other treatment option that works as well as opioid medication. I know that the evidence is weak on the long-term use of opioids. Every test, assessment and research study can be torn apart by opioid critics. But for me, it all comes down to this: If I have something that helps me function better and live a better quality of life, I want to have access to it. I have lost many friends to suicide due to uncontrolled pain and a few to addiction. Opioids are not typically the first line of treatment. More and more, due to insurance company policies, guidelines and legislation, pain patients will get acetaminophen or NSAIDs, or be given nerve blocks, spinal injections or some other invasive procedure. Opioid medications are far less prescribed than they used to be. And many patients can’t get them at all. Doctors are now being taught in medical school that what they prescribe should be determined by the type of pain someone has. For neuropathic pain, they are taught that traditional analgesics are less effective. Therefore, many providers will prescribe tricyclic antidepressants and anticonvulsants for nerve pain. And they will use topical NSAIDs creams and ointments for muscle sprains and overuse injuries. Prolotherapy is an injection-based treatment used for pain conditions that involve musculoskeletal disorders, such as low back pain, tendonitis and knee osteoarthritis. The injection is typically administered where joints and tendons connect to bone. In theory, the injection creates an irritation to the injured area that helps stimulate healing. This technique that has been practiced since Roman times, when they used hot needles on gladiator injuries to promote healing. Patients may report mild pain and irritation at the injection site, which usually goes away within 72 hours. They also may report numbness or minor bleeding right after the injection. There have been cases of disc and spinal injuries reported. I used to hear a lot about prolotherapy 10-15 years ago, but I hear less and less about it now, as it is not typically used to treat nerve diseases. It is also not well reimbursed by insurance companies and Medicare has decided not to cover prolotherapy injections for low back pain at all. Psychology is used to help prevent the reliving of psychological distress or dysfunction, and to promote positive thoughts, well-being and personal skills. Psychology should not to be confused with psychiatry, which is the medical specialty devoted to the diagnosis, prevention and treatment of mental disorders. I have undergone psychological counseling in both group and individual settings over the years. The time when I found it most helpful was before I finally got a proper diagnosis of RSD and started infusion therapy. At the time, I was beginning to feel like a guinea pig. Some providers didn’t know what to do with me and having a psychologist providing support and making sure my mental attributes were strong was very helpful. I still use some of the mindfulness techniques he taught me to this day. When I was getting ready for infusion therapy, I felt like I had tried every treatment available on earth. Having a professional psychologist to speak with and go over what happens if the infusion didn’t work prepared me for a worst-case outcome. Luckily, I didn’t need it, but it did teach me that even though I felt like I had tried everything, there are always new options being created and that I had not actually tried everything. This is one of the reasons I am so sure that the alternative treatments I have been presenting over the last 8 months are helpful to others. I never realized until I did the research that there are so many different things to try. Using a multi-modal approach to pain and understanding that the mind, body and spirit connection are real is important not to neglect. There were times when my providers suggested that I go to a psychologist, and other times when I had to get psychological clearance for different procedures. I found that when I went to a session, I felt better about myself. It was "me time" -- a time to focus on getting through the depression and anxiety of living with a chronic illness. I learned that chronic pain affects our brains and causes depression and anxiety, and that it was not the other way around. That there are tools and medications to address them, and that knowing myself and what is going on with my health was one of the best ways to get past the depression and anxiety. Psychologists gave me aptitude tests to check my general knowledge, verbal skills, memory, attention, reasoning, and perception. A few also gave me personality and neuropsychological tests. The more I learned about myself, the better I was able to navigate through chronic illness, the people around me, and the better relationships I was able to achieve. I once again look forward to reading your comments. What treatments have you tried, what has worked, and what didn’t work? What tips do you have to pass on to other readers? Have you found the treatment protocol that works for you? I personally don’t believe that there is a magic pill or procedure that can cure chronic pain - yet. I also strongly believe that the patient and their providers should be making the decisions for what is best for the patient. Does MSG Cause Chronic Pain? A small pilot study in central Africa suggests otherwise. Researchers at the University of Michigan and American University in Washington DC wanted to know why so many people in Meru, Kenya have widespread chronic pain – nearly two-thirds according to one survey. Most suffered from neurological problems, including headaches or migraines, chronic fatigue, cognitive dysfunction, and sleep issues. 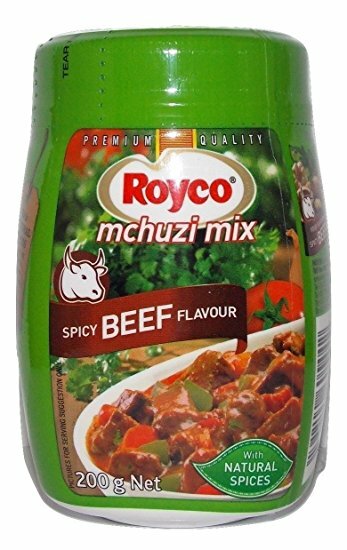 Researchers recruited 30 Meru residents for a study to see if diet and dehydration played a role in their symptoms, focusing on a local seasoning spice called mchuzi mix, which often contains MSG. The spice mix is known as the “flavor of Kenya” and is commonly used in multiple dishes throughout the day. When some of the study participants were sent home with a mchuzi mix containing no MSG and urged to drink more water, they started showing significant improvement in their pain symptoms within two weeks. Many liked the flavor of the new mix and asked for more. "This preliminary research in Kenya is consistent with what I am observing in my chronic pain research here in the United States," said Kathleen Holton, PhD, a nutritional neuroscientist at American University and lead author of the study published in the journal Nutrition. "We don't know what exposure is leading to this susceptibility to dietary glutamate, but this pilot study suggests the need for a large-scale clinical trial, since dietary change could be an effective low-cost treatment option for developing countries." Holton and her colleagues believe glutamate may act as a neurotransmitter in the brain and stimulate nerve cells. Increased consumption of glutamate may also enhance the central sensitization that leads to chronic pain. “These preliminary findings support the hypothesis that MSG may be able to modulate pain response, and suggest that a future larger study is feasible and warranted in this population,” said Holton. Researchers are planning a larger epidemiological survey to understand the prevalence of widespread chronic pain in the region and to train Kenyans on how to conduct a large-scale clinical trial. The goal is to see if dietary change could be an effective, low-cost treatment option for chronic pain. "This would be incredible if we could impact chronic pain simply by making slight modifications to diet," said Daniel Clauw, MD, a University of Michigan professor and a leading expert on chronic pain. A wearable device that stimulates the release of natural pain-relieving endorphins provides significant relief to patients with chronic knee, shoulder or back pain, according to the results of small clinical trial. The Oska Pulse uses Pulsed Electromagnetic Field technology (PEMF) to dilate blood vessels, which increases blood flow, reduces inflammation, and releases the body’s endorphins to reduce joint and muscle pain. The double blind, placebo-controlled study involved 30 patients who were recruited from two San Diego area pain clinics. Participants were given either an Oska Pulse or a placebo device and asked to wear them several times a day for two weeks, while completing a daily log to track their pain, stress and usage. The study findings, first published in Practical Pain Management, found that the majority of participants who used the Oska Pulse had a significant decrease in pain levels. Some also reported a decrease in stress. “There was significantly more reduction in pain in the OSKA Pulse group after 14 days of use than placebo. These results suggested that the OSKA Pulse may be an effective tool in pain attenuation,” wrote lead author Joseph Shurman, MD, an anesthesiologist at Scripps Memorial Hospital in La Jolla, CA. Previous studies have found that PEMF therapy can be used to treat a variety of chronic pain conditions, not just simple muscle aches and joint pain. A recent survey of Oska Pulse users found that half had some type of pain for more than five years. "I've had RSD/CRPS in my left leg for 21 years and tried many meds and treatments over the years, including 10 years of ketamine infusions," said Tracey M., an Oska customer quoted in a news release. "I started using Oska Pulse nine months ago and my pain was reduced more than ever before. I recently danced at my daughter's wedding. Before Oska, I wasn't even sure if I'd be able to attend." PNN columnist Arlene Grau, who lives with rheumatoid arthritis and fibromyalgia, was at first skeptical about the Oska Pulse. But after trying it for several days, she found the device gave her some temporary pain relief. Before using the Oska Pulse, it is recommended that cancer patients, or those who are pregnant, nursing, or have a pacemaker or defibrillator, should consult with their physician. The Oska Pulse is available on Amazon for $399. A new study suggests that Vitamin D supplements may help ease stomach cramps, constipation and other painful symptoms of irritable bowel syndrome (IBS). In a systematic review (a study of studies) involving hundreds of patients around the world, British researchers found that over half the patients with IBS had low levels of Vitamin D in their blood serum. Vitamin D supplements helped improve symptoms for some patients, although the findings were mixed. "The available evidence suggests that low vitamin D status is common among the IBS population and merits assessment and rectification for general health reasons alone,” said Claire Williams of the University of Sheffield, lead author of the study published in the European Journal of Clinical Nutrition. "An inverse correlation between serum vitamin D and IBS symptom severity is suggested and vitamin D interventions may benefit symptoms." Williams and her colleagues cautioned that the evidence was not strong that supplements would help, and said larger studies were needed to build a case for Vitamin D as a treatment for IBS. Britain’s National Health Service was also cautious about the findings. “Although this possible link is worth investigating further, the evidence is currently very limited. The results seen in this study are an extremely mixed bag taken from studies of questionable quality," the NHS said in a review. Both IBS and vitamin D deficiency are common in the western world. About 20% of adults in the UK are deficient in Vitamin D. Low levels of the “sunshine vitamin” have also been linked to fibromyalgia and multiple sclerosis. Most people get all the Vitamin D they need by being exposed to ultraviolet rays in sunlight. You can also get it by eating foods rich in Vitamin D, such as oily fish and eggs. Vitamin D has a wide range of positive health effects, such as strengthening bones and inhibiting the growth of some cancers. Each pain patient is different, even when we share the same disease or condition. How we treat, manage and find solutions for our chronic pain is also different, due to biological makeup and life experiences. A one-size-fits-all approach to treating pain is impractical and will not yield the best results. This month I continue my alphabet series on alternative pain therapies by looking at four O’s – oral orthotics, orthomolecular medicine, osteopathy and occupational therapy -- treatments that may help you or a loved one in chronic pain. An oral orthotic (OO) device is a topic I have written about and made home videos of, as it is a treatment I personally have used since 2012. The OO is used to change the size, shape, and relationship of the bones in the face and jaw, to create a symmetry and balance that helps lower neuro-inflammation in your spine and brain. Many people with chronic pain don’t realize that their spinal nerves run right through the small space in their temporal mandibular joint (TMJ) before reaching the brain. I underwent multiple tests before being fitted for my orthotics, including cat-scans, X-rays and other measurement tests. I also participated in an OO research study, which helped me learn how the device can work for chronic pain and other neuro-inflammatory diseases. I didn’t fully understand in the beginning how creating the proper spacing and mechanics in my jaw could actually help the burning pain in my feet and legs. My orthotics have helped me reduce my pain levels and allowed me to stop taking daily pain medication. They work so well for me that I have even been able to cut back on my IV ketamine infusions. I have two orthotic devices, for use during the day and night. My day version snaps over my bottom teeth, and my night version has two parts for the top and bottom teeth. Each has different mechanics, which work to best fit my needs. Every patient is different, and each device has to be measured and made specifically for you. For more information you can check out Dr. Gary Demerjian’s site: TMJ Connection. This type of treatment isn't cheap. It costs from $2,500 to $5,000 to start, and a few hundred dollars a year to maintain. But It helps me avoid paying for many other expensive therapies and medications. It is well worth the price and effort, when done by a competent neuro-dentist who understands chronic pain and the TMJ connection. Orthomolecular medicine is based on maintaining human health through nutritional supplements. Supporters of this treatment believe that vitamins, minerals, amino acids and other natural substances can be used to correct imbalances and deficiencies in the body that lead to illness. Orthomolecular providers may also incorporate dietary restrictions and mega doses of vitamins and pharmacological medications. Large doses of any substance can cause problems. For example, too much vitamin B12 can cause hypersensitivity and neuropathy pain. 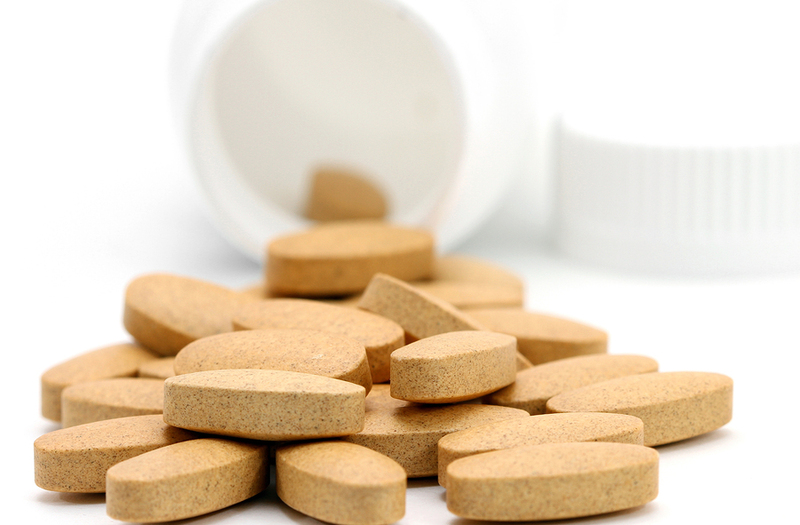 Some vitamins in large doses can also increase the risk of cardiovascular disease and cancer. I personally have not tried this method myself, as all of my blood testing shows that my vitamin levels are fine and my providers recommend against it. I do know a few patients, including my mom, who have tried it. My mom had complications from high doses of Vitamins B6 and B12. She experienced nerve damage and “pins and needles” pain in her hands from B6; while B12 caused side effects such as headaches, dizziness, diarrhea, indigestion, nausea, back pain, swelling, anxiety and lack of coordination. Most of the other patients I know who tried this method did it with high doses of Vitamin C pills or infusions. They believe it helped prevent their disease from spreading or getting worse. Osteopathy is a type of alternative medicine that emphasizes manual readjustments, myofascial release and physical manipulation of muscle tissues and bones. I have had myofascial release and other physical manipulation treatments for my muscle and bone pain. They were helpful in lowering my pain levels, but the benefits were not significant or long-lasting. Osteopathy medicine is recognized internationally in the treatment of many pain diseases involving muscle and bone. However, the profession has branched into two directions: non-physician manual medicine osteopaths and medical osteopathic physicians. They practice distinctly different techniques and function as two separate professions. Doctors of Osteopathic Medicine (DO) are fully licensed physicians who practice in all areas of medicine. They emphasize a whole-person approach to treatment and care, and are trained to listen and partner with their patients to help them get healthy and stay well. My general practitioner is a DO and many of the best practitioners I know are as well. I do see a difference in their approaches to care, how I am listened to, and in the treatments they offer. Although many countries consider there is good evidence behind manual manipulation, they differ on the parts of the body where it is most helpful. Most believe that it is best for low back pain. There is limited evidence for other issues like neck, shoulder or lower limb pain, and in recovery after hip or knee operations. I personally used the myofascial release after a knee surgery in 2001, as well as similar treatments after an auto accident in 2002. For me, they didn’t help with my headaches, migraines, digestive issues or nerve pain. Occupational therapy (OT) is often confused with occupational medicine, which deals with the maintenance of health in the workplace. Occupational therapy, on the other hand, is used to help a patient recover or maintain meaningful daily activities. After a hospitalization with internal bleeding, an OT therapist would come to my home to help me learn and regain abilities to do daily activities around the house. When the therapist first arrived, I was a bit confused myself. I thought she was there to teach me new skills so I could find a job or go back to work. Instead she worked with me to make my daily life better. She made suggestions like moving utensils to a place in the kitchen where there would not require reaching, and switching to paper plates and plastic cups so that when I dropped them it didn’t hurt me further. She taught me how to find ways around the challenges of my disabilities and impairments, and when to ask for help when needed. I was surprised when said she couldn’t help me with anything else on my body but upper extremity movement. My insurance covered the care and I didn’t have any out of pocket charges. Other OT modalities include helping children with disabilities participate in school and social settings, injury rehabilitation, and helping older adults with Alzheimer's and other physical and cognitive changes. Remaining open minded about alternative therapies and talking about them with your care team is very important. Don’t do any treatments you are not comfortable with for pain management, whether they are traditional or alternative therapies. I wish you all knowledge, research and the best chance at positive outcomes possible for your daily pain care. I encourage you to find your own solutions and to keep working toward lower pain levels that can be managed through the right care. I have covered 28 treatments so far in my alphabet series on alternative therapies that can be used in the management of chronic pain. I am now moving on to the N’s of pain management -- two of which I have tried and two that I learned about while researching this article. A nerve block is the injection of an anesthetic or anti-inflammatory drug into a nerve or group of nerves to relieve pain. I had this procedure 37 times over a 3-year period, starting in 2005. In my case, the injections were made in my neck into a group of nerves called the stellate ganglion. The injections did not take away my pain, but they lowered the intensity of it and helped me function better for a limited time. As with most therapies for pain, nerve blocks are not a lasting treatment or cure. They are only a tool to manage pain and can help diagnose where the pain is coming from. Diagnostic nerve blocks are typical done to determine if a longer lasting treatment or procedure could be more successful in treating pain. My first nerve block gave me pain relief for only about 3 hours, but it also showed my doctors that I had sympathetically maintained pain -- a form of Reflex Sympathetic Dystrophy (RSD). Some people receive a few nerve blocks and experience months to years of extended pain relief. For me, it was only a few hours, but when the blocks were later combined with radio frequency ablations, I would get up to 20 days of pain relief. The nerve blocks also helped me avoid additional surgery and having to take daily medications. There are many types of nerve blocks that can be performed on different body areas. Injections can be made in the face, eyelids, scalp, forehead, upper jaw, nose and palate, neck, shoulder, elbow and wrist, as well as the abdomen and pelvis. The procedure can be painful, so many providers sedate patients or give them a local anesthetic. I was sedated for all of my nerve blocks except one, where the IV failed. Another treatment I am hearing some alternative providers suggesting is nitric oxide, a gas that relaxes muscles and improves blood flow, especially in the lungs. Some intractable chronic pain conditions, such as chronic orofacial pain, can be helped by taking nitrous oxide supplements. These supplements don’t actually contain nitric oxide, but provide amino acids and other ingredients that increase nitric oxide production in the body. Nitric oxide helps lower blood pressure, increases circulation, and improves cardiovascular and heart health. Athletes have used nitric oxide supplements for years to build muscle, and increase speed and endurance. The closest thing I have tried to a nitric oxide supplement is creatine, back in the day when I was a college athlete and coach. I was using it in a totally different setting and was monitored by trainers and team doctors, but I wonder now if creatine helped me more than I understood at the time. It is important to note that taking too much creatine or nitric oxide supplements can be harmful. But if you can find the correct dose and are closely monitored, they can be useful tools to help with some of the secondary effects of living with chronic pain, such as chronic fatigue. Some of the most common side effects from nitric oxide supplements are an increased urge to urinate, reduced dopamine levels (which we need for sleep), zinc deficiencies, nausea and stomach cramps. If you are a diabetic type 2, this is probably not a good option for you because blood sugar levels tend to go up as nitric oxide levels increase. A treatment I have used over the years is neurotransmitter regulation, which is the use of antidepressants and anti-anxiety medication to help manage depression, anxiety and other mood disorders. I no longer need these types of drugs, as I was able to learn through psychological counseling new coping skills to better manage my moods. Mood disorders can be caused by chronic pain, which disrupts the production of neurotransmitters, the chemical messengers that our bodies produce to regulate our nervous systems. The four major neurotransmitters that regulate mood are Serotonin, Dopamine, GABA and Norepinephrine. Medications can be used treat mood disorders. For example, anti-anxiety drugs that are receptor agonists – such as Valium, Xanax, Klonopin and other benzodiazepines -- bind to receptors and mimic the way a natural neurotransmitter decreases anxiety. I can’t stress enough how common it is for people in pain to develop depression and anxiety, due to the challenging situations we face with our physical, emotional and mental health. Don’t be shy about discussing these needs with your provider. We must address all aspects of living with chronic pain and our mental stability is important to maintain. The final option I looked at in the N’s is nabilone, a medication that is approved for treating or preventing nausea and vomiting caused by chemotherapy. A few studies have shown that low doses of nabilone can also be effective in managing chronic pain from fibromyalgia and multiple sclerosis, although that would be considered an “off label” use in the United States. Nabilone is a synthetic cannabinoid that mimics tetrahydrocannabinol (THC), the primary psychoactive compound in marijuana. According to the studies I’ve read, researchers believe that nabilone can benefit patients not only by reducing pain, but in improving quality of life. In a head-to-head trial of nabilone and a weak opioid medication, nabilone had similar pain relieving effects in patients with chronic neuropathic pain. Once again, I hope that I was able to share something new with you. I encourage you to be open-minded when it comes to using alternative therapies. Always talk with your provider to make sure you are on the same page and that everyone involved in your care understands the treatment plan and the options you are choosing. This month I am looking at the 4 M’s of pain management as part of my series on alternative pain treatments: magnets, massage, mindfulness and music. Once again, I know and understand that these therapies will not help everyone. And when they do offer some relief, it will be temporary and vary in nature. That’s no reason not to try them. I found mindfulness helpful and now use mindfulness techniques in my daily life to assist in pain management. When I first started to look at mindfulness, I turned to Melissa Geraghty, PsyD, for input on the benefits and techniques. Dr. Geraghty serves on iPain’s medical advisory board and is a chronic pain patient herself. “It’s human nature to pull away from pain, whether that pain is physical or emotional. We inherently try to avoid pain or distract ourselves from pain,” she told me. Mindfulness is used to reduce stress, depression, anxiety and pain levels, and can also be used in drug addiction counseling. Clinical studies have documented both physical and mental health benefits of mindfulness for different medical conditions, as well as in healthy adults and children. Mindfulness involves several meditation exercises designed to develop mindfulness skills. One method is to sit comfortably, close your eyes, and bring attention to either the sensations of breathing in one’s nostrils or to the movements of the abdomen when breathing in and out. When engaged in this practice, the mind will often run off to other thoughts and associations. When this happens, one passively notices that the mind has wandered, and in an accepting, non-judgmental way, you return to focus on breathing. Other meditation exercises to develop mindfulness include body-scan meditation, where attention is directed at various areas of the body and body sensations. You can also focus on sounds, thoughts, feelings and actions that are going on around you. A mindfulness session is typically done in short periods of about 10 minutes. The more you practice, the easier it is to focus your attention and breathing. I recently had a mindfulness session with a therapist as part of a documentary I was filming. I noticed that having someone guide me through a session, as opposed to doing it on my own, was very beneficial. I got to focus on positive thinking, letting go of negatives that happen in life, and living life in the now. “Mindfulness practice allows people with chronic pain to participate in the moment instead of watching life pass you by. Life may not flow in the way you expected it to before chronic pain, but living in an endless cycle of psychological misery isn’t living at all,” says Dr. Geraghty. Massage therapy is another treatment that I use. My husband and I purchased a massage table back in 2005 at the suggestion of my physical therapist. I can do exercises on it or have my husband give me massages as needed. This is especially good for migraines, headaches and overall blood flow in my body. There is conflicting information on whether massage helps relieve pain and others symptoms associated with nerve pain diseases. Much of the scientific studies show beneficial short term effects, and I agree with them based on my own experiences. Not only do I find massage therapy helpful with my pain levels, it also helps me relax and let go of stress. My massage therapist told me that even a single massage session has been shown to significantly lower heart rate, cortisol and insulin levels --- which reduce stress. Massage can also improve posture, which helps reinforce healthy movement. Other benefits of massage are better breathing and training the body how to relax. Clinical studies have shown that massage may be useful for chronic low-back pain, neck pain and osteoarthritis of the knee. Magnet therapy dates back at least 2,000 years, according to New York University Langone Medical Center. Healers in Europe and Asia used magnets to treat many different ailments, believing that the magnets can draw disease from the body. Typically, therapeutic magnets are integrated into bracelets, rings, shoe inserts, clothing and even mattresses. Despite a lack of scientific evidence that magnet therapy works, an estimated $1 billion a year is spent on the sale of therapeutic magnets worldwide. Makers of these products claim they help increase blood flow to areas of the body where the magnet is worn, which brings in more oxygen and helps tissues heal faster. While larger studies have shown little to no therapeutic value in magnets, some smaller studies have found some benefit. Pain patient Elizabeth Kandu is a believer in magnet therapy, although she’s not sure how it works. Elizabeth is right that there may be some placebo effect in play, but if magnets provide some relief they may be worth a try. It will be interesting to hear from PNN readers who have tried magnets and if any therapeutic value was found. I have been using music to excite my soul since childhood. I now also use it to address physical, emotional, cognitive and social needs that come with living in pain. According to Warrior Music Foundation’s Michael Caimona, music provides sensory stimulation, stirs emotional responses, facilitates social interaction and communication, and provides diversion from inactivity. Music also helps us get through sad times and helps us heal from bad times. I’ve found music to be an effective tool in reducing pain levels and anxiety, and it helps stimulate the brain. I have even had surgeons put on music during my procedures. Although I cannot hear it consciously under anesthesia, I am able to hear it subconsciously and believe in the positivity of it. I also use music during infusion therapy and on moderate pain days. Another study I found reported that children who listened to music while having an IV needle inserted into their arms showed less distress and felt less pain than the children who did not listen to music. Research also shows that music therapy helps patients become more engaged in their treatment and physical therapy. There are two different forms of music therapy, active and receptive. The patient can actively create music with instruments or by singing. In receptive therapy, the patient is more relaxed and is listening or participating in other activates while the music is being played. I hope that spotlighting these alternative pain treatments will help readers understand that there are many forms of therapy, and it’s up to each patient to find what works for them. Many times as patients we feel we have tried everything. But until your pain is at a constant low number on the 1-10 pain scale or a zero, I encourage you to keep discussing options and trying new treatments. The goal is to get the best living you can out of each day. I look forward to hearing what has and hasn’t worked for you. Barby Ingle lives with reflex sympathetic dystrophy (RSD), migralepsy and endometriosis. 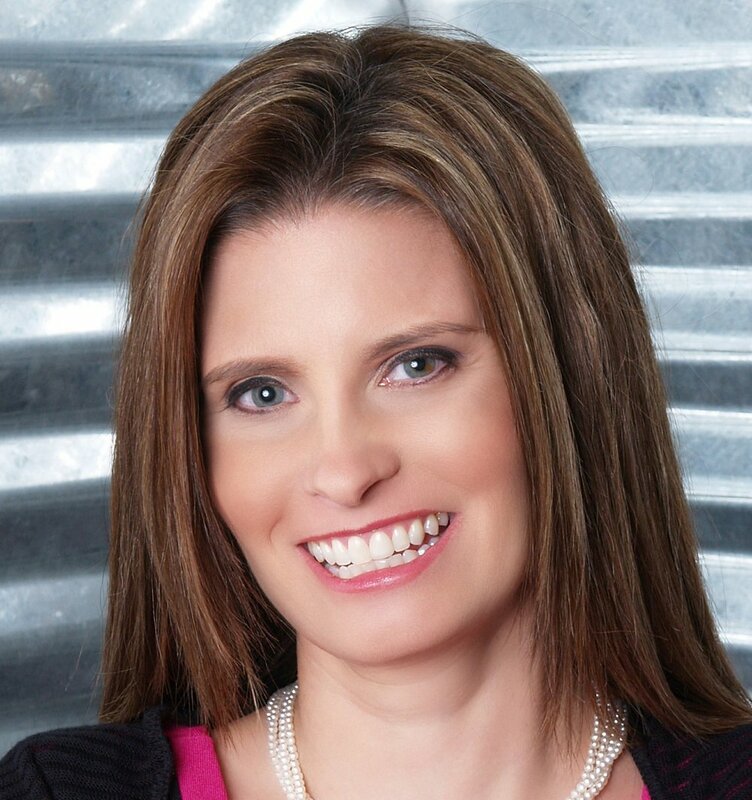 Barby is a chronic pain educator, patient advocate, and president of the . She is also a motivational speaker and best-selling author on pain topics. I am so excited to finally be to my favorite letter – "I" -- in my series on alternative pain treatments. The “I” stands for infusions. There are many different types of infusions, but the four I will cover are ketamine, immunoglobulins, lidocaine and stem cells. I have done 3 of the 4, and one of my good friends has done the fourth with great success. So I feel comfortable sharing what I know about infusions based on my personal health journey. I was afraid of ketamine when I first heard about it. Ketamine was created in 1962, when it was first synthesized by scientist Calvin Stevens at the Parke Davis Laboratories. Ketamine is a potent anesthetic that blocks pain by acting as a N-methyl-D-aspartate (NMDA) receptor antagonist. It can also reset glia nerve cells in the spine and brain. Ketamine is not appropriate for everyone. For me, I saw it as a chance to reverse the Reflex Sympathetic Dystrophy (RSD) that I had been living with since 2002. My excitement was great, along with my family’s. My regular treating doctors were not so optimistic about ketamine, but were not discouraging it either. I began receiving ketamine infusions in 2009. They put me into remission and I continue with booster therapy as needed. I still have flares, but ketamine got me through the biggest challenges of living with RSD. Here is a video of me after my initial infusion treatments, which many find motivational. Before I started getting ketamine infusions, they wanted me off opioids completely so that my nervous system would reboot better. Research showed that ketamine patients on opioids were not getting the same good results as people who stopped taking them. Since then, I have also learned that opioids also set off glia cells, which is not a good thing for nerve pain patients. Intravenous Immunoglobulin – known as IVIg -- is used to treat various autoimmune, infectious and idiopathic diseases. One of my best friends, who has multifocal motor neuropathy, uses it to stay functional. I have not had IVIg yet, but if ketamine didn’t work for me, I would give it a try, insurance permitting. The cost per treatment is between $5,000 and $10,000, so for many it is not an option. If you have the cash, the FDA has approved IVIg for graft disease and idiopathic thrombocytopenic purpura (ITP). 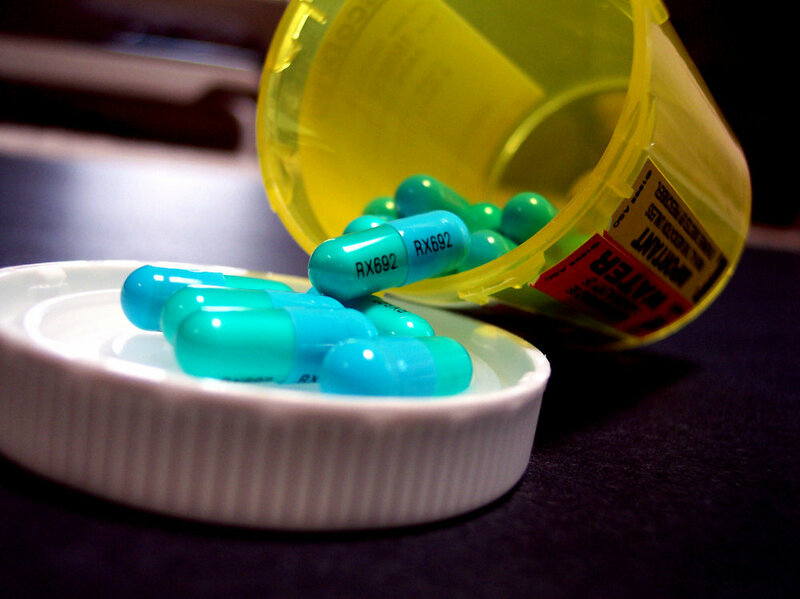 It is also used to treat patients with Kawasaki disease, Guillain-Barre syndrome, and polymyositis/dermatomyositis. I know a number of people who have used it for RSD. One of the complaints I have heard from friends who use IVIg is that it takes time before your feel any benefits – sometimes days or weeks. If it is a viable treatment for you, there should be some changes in your symptoms and pain levels within 4 weeks. However, some people do not respond to IVIg and it is very expensive to try just to see what happens. The cost is high because immunoglobulin products come from the pooled human plasma of a thousand or more blood donors, who have to go through an extraction process themselves before it can be processed and ready for use in infusions. Stem cell research could pave the way for an entirely new approach to chronic pain that reduces the current reliance on opioids and other analgesics. I tried two rounds of stem cell infusions for gastroparesis, intestinal ischemia, heart valve dysfunction, cardiac ischemia, and temporomandibular joint disorder (TMJD). The infusions reversed my gastrointestinal issues within 24 hours and my heart issues in 7 days, but it took longer for my TMJD to feel any relief. I did get some, just not as much as the other areas of my body. I also got improved function in my ovaries, with an increase in estrogen production I did not have before stem cell therapy. The providers I worked with said it would take 6 to 8 rounds of stem cell infusions to help my nerve pain. I don’t have the money for that, so I stopped after two treatments. Stem cell studies I have seen show great promise for multiple sclerosis patients, and I will be watching closely to see if it works for RSD and other neuro-autoimmune diseases. Stem cells could also be used as a tool to reverse opioid tolerance and opioid-induced hyperalgesia, two problematic side effects of opioid therapy. Although my providers told me that lidocaine infusions are practically pain free, I can tell you they are not. The lidocaine infusions I was given were in conjunction with my stem cell therapy. I felt everything and came away feeling that lidocaine was not a good option for me. My step sister did have good results from her 7-day infusions of lidocaine, so it goes to show that you have to check to see what works best for you. Lidocaine is an amide anesthetic and has a wide range of mechanisms of action. Research has shown that lidocaine, when given in a low dose intravenous infusion, has successfully provided pain relief for several chronic pain conditions that have failed other treatment modalities. A recent study in Pain Medicine found that lidocaine provided pain relief to 41 percent of patients, most of whom had neuropathic pain. According to providers at Stanford University, the success of lidocaine infusion is dependent on the specific cause of your pain. Some patients report immediate and long lasting pain relief, while others say relief came slowly and only lasted while the medication is being infused. Some patients also report unpleasant side effects. The only adverse reaction I had – besides the fact it didn’t work for me – is that the infusion itself was extremely painful. Physicians have no way of knowing how you’ll react until you try it. By the time I was begging for help during the infusion, it was too late. PNN columnist Crystal Lindell has been getting lidocaine infusions and they’ve helped Crystal reduce her use of painkillers. A recent study in Pain Medicine found that lidocaine provided long-lasting pain relief in 41 percent of patients, most of whom had neuropathic pain. I would be glad to share more of my experiences with infusions for anyone who has questions from the patient perspective. I would also love to hear your stories about infusions and whether they worked for you. Whatever your ailment may be, holistic medicine has an answer. A therapeutic method that dates back to early civilizations, holistic medicine takes into account the mind, body, emotions and spirit -- with the aim of helping patients achieve or restore proper balance in life and prevent or heal a range of conditions, including musculoskeletal pain. Holistic treatments offer a ray of hope for many patients suffering from arthritis, osteoporosis, fibromyalgia and other conditions that cause joint pain. Not all alternative medicine is created equal, and some natural healing methods will produce better and quicker results. If you want to treat arthritis and other joint aches with holistic treatments, here are a few natural pain relievers you can try. A low-impact activity that can increase range of motion and strengthen joints and surrounding muscle tissue, tai chi is an ancient physical and spiritual practice that can help arthritis patients soldier through their pain. According to a 2013 study, tai chi can relieve pain, stiffness, and other side-effects of osteoarthritis. In addition to pain relief, tai chi can help improve range of motion and alleviate joint pain for people living with fibromyalgia and rheumatoid arthritis. Another ancient technique which promotes natural healing, yoga is perfect for individuals suffering from lower back and joint pain. Gentle stretches and poses opening the joints can help prevent and alleviate chronic soreness in the shoulders, hips, and knees. A form of yoga called mudras utilizes a series of hand gestures to increase energy, and improve mood and concentration. An invigorating massage with warm essential oil can help many conditions, and joint pain is one of them. By enhancing blood flow, relaxing the muscle tissue and soothing inflammation, a well-timed massage can ease joint stiffness and increase range of motion in individuals suffering from arthritis, fibromyalgia, and osteoporosis. A 2013 review of medical studies has shown that acupuncture can help relieve musculoskeletal pain caused by fibromyalgia. By activating the body’s natural pain relief system and stimulating the nerves, muscles and connective tissue, acupuncture can relieve joint aches for people who are resistant to other holistic pain relief techniques. A 2010 study found that acupuncture can also be a beneficial for peripheral joint osteoarthritis. An apple a day may or may not keep the doctor away, but a custom-tailored diet can help you with joint pain. Nutritional tweaks can begin with increased intake of chondroitin sulfate, glucosamine, and Omega 3 fatty acids, which can reduce joint pain in arthritis and osteoporosis patients. To ease joint problems, your pantry should be stocked with foods that promote healing and reduce inflammation, such as onions, carrots, and flaxseed. 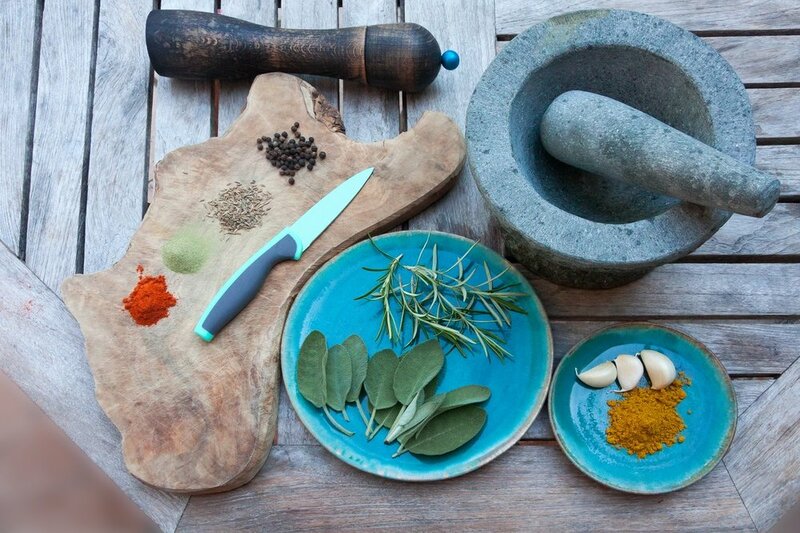 Herbs and spices such as turmeric (curcumin) and cayenne pepper can also help with pain relief. If you think pain relief can’t smell good, you’re mistaken. Studies have shown that peppermint and eucalyptus oil can reduce swelling, pain and discomfort in patients with inflamed joints. For joint soreness and stiffness caused by arthritis, aromatherapy experts recommend regular application of myrrh, turmeric, orange, or frankincense oil to ease inflammation and pain, and to increase range of motion. You can also combine aromatherapy with heat and cold treatments. Be sure to keep the tender joints elevated during treatment to reduce swelling. Few things can beat the appeal of a full-scale spa experience. If you’re suffering from knee, hip, shoulder or elbow pain and other holistic methods haven’t helped, try balneotherapy, which combines aqua massage with deep soaks in heated mineral water and medicinal mud baths. One study found that balneotherapy significantly reduced knee and back pain in older adults. If you don’t want to immerse yourself in mud, you can supplement your holistic pain therapy with water aerobics, swimming, aqua jogging or aqua spinning. According to a 2014 study, water exercises can ease pain and improve joint function for osteoarthritis patients. Additionally, a 2015 study found that aquatic circuit training can help relieve knee pain in cases of progressed osteoarthritis. Another natural treatment for joint pain and stiffness is homemade capsaicin cream, which can help reduce swelling and increase range of motion. To stay on the safe side, you should be careful when handling hot peppers when preparing the cream, and avoid using it on sensitive and damaged skin. As our bodies age, joint pain can become a chronic. If you don’t want to take your chances with conventional pharmaceuticals, you can always turn to holistic medicine for answers and help. When musculoskeletal pain hits home, one or more of these holistic treatments can help. Nicole Noel is a lifestyle blogger who is passionate about yoga and healthy living. She enjoys sharing her experiences and ideas on how to lead a happy and healthy life. If you want to read more from Nicole, you can find her on Twitter and Facebook. Purdue Pharma and a Pennsylvania-based healthcare provider have announced the enrollment of their first patient in a joint study of wearable health technology. As many as 240 people will eventually be enrolled in the two-year study, which is designed to see if “wearables” can help manage chronic pain. It’s an unlikely partnership between Purdue Pharma, which faces multiple lawsuits over its promotion of the painkiller OxyContin, and the Geisinger Health System, which is actively trying to discourage the use of opioid pain medication. Geisinger provides healthcare to over 3 million people in Pennsylvania and New Jersey. Geisinger patients enrolled in the study will get an Apple Watch and iPhone equipped with pain apps that will measure their physical activity, self-reported pain, disability, sleep quality, depression, medication use and heart rate. Patients who report pain will be prompted to try non-pharmaceutical alternative therapies, such as stretching, mindfulness and thermotherapy. “The goal of this technology is to improve patient function and quality of life while reducing the need for analgesic medications. It provides objective measures of numerous aspects of pain, function and treatment effectiveness so that information can be gathered for the patient and the healthcare provider in between visits,” said Dr. Tracy Mayne, who heads Medical Affairs Strategic Research at Purdue Pharma. The study's primary goals are to assess whether the use of wearables can reduce pain, depression, medication use, and healthcare costs. “We are incorporating advanced technology into the traditional healthcare setting to redirect and empower the patient to take more control of their own well-being. The proposed multi-level integrated platform will facilitate and accelerate the speed of communication between the patient and healthcare providers, thereby allowing quicker patient access to appropriate care,” said John Han, MD, director of Pain Medicine at Geisinger. Further details about the study can be found here. The study comes as Purdue fights a seemingly endless series of court battles with state and local governments over its marketing of OxyContin over a decade ago. Critics contend the overprescribing and abuse of OxyContin helped launch the overdose crisis. A recent study by Geisinger found that opioids are ineffective in treating chronic pain and increase the risk of overdose and death. "Opioids are not the answer," said Mellar Davis, MD, a palliative care physician for Geisinger. "Chronic pain rehabilitation, exercise, cognitive behavioral therapies, acupuncture, yoga or tai chi are all better options than opioids." Can Analgesic Creams Treat Chronic Pain? An Irish opera singer who suffered from the same chronic pain condition as Lady Gaga claims she was “cured” of fibromyalgia by rubbing a topical cream on her body. Farrell was diagnosed six years ago with fibromyalgia – a condition that causes widespread body pain, fatigue and insomnia. The 40-year old singer tried a cocktail of drugs that included tramadol, Cymbalta, Lyrica and anti-inflammatory medications, but her pain only grew worse and she stopped performing. Then Farrell started using Celafen, a drug-free topical cream that contains menthol, Vitamin E and a patented blend of fatty acids called Celadrin, which lubricates cell membranes and has anti-inflammatory properties. Lady Gaga’s battle with chronic pain has received a great deal of media coverage lately. She recently cancelled concert appearances in Brazil and Europe to focus on her health. Would Celadrin help Lady Gaga? Would it help you? The reviews online are a bit mixed. “Celadrin works very well for me. I've been dealing with a shoulder injury for about six months, and I have tried almost every pain control cream and gel on the market. This is one of the best I've found,” said one reviewer. “It is truly amazing how it takes away all my aches & pains. I suffer from disc issues - cervical to lumbar area. I get referred pain in my upper arms from my cervical disc issues. I rub this on and instantly I feel so much comfort,” a woman wrote. “Expensive. Smelly and doesn't do a thing,” said another. Whether it works or not, it’s fairly cheap. Celafen cream is sold online in the U.K. for £9.95 – or $11.65. You can also buy Celadrin in various formulations on Amazon for about the same price. Topical analgesic creams are mostly used to treat acute pain in sore muscles and joints – not the intractable pain that comes from severe chronic illness. But a new study published in the Journal of Pain Research suggests that creams are effective and could be safer than opioids and other prescription drugs in managing chronic pain. In the observational study of 631 patients with moderately severe chronic pain, Clarity Science researchers found significant decreases in pain in patients who used generic analgesic creams daily for 3 to 6 months. Most of the creams contained diclofenac, ketoprofen or flurbiprofen, non-steroidal anti-inflammatory drugs (NSAIDS) that were combined with other neuropathic agents. "The study is important in that existing topical analgesics that have lost big Pharma interest have been found not only to have a profound therapeutic effect, but also offer a safe and effective alternative to opioids," Dennis Harris, MD, Clarity's Chief Medical Officer said in a press release. “New and experimental drugs are not always the answer to current issues." Researchers say 54% of treated patients in the 3-month group and 60% of treated patients in the 6-month group reduced their use of pain medications. Over half the patients who were not treated with analgesic creams increased their use of pain medication. Treated patients also reported a preference for topical treatments and only a few had side effects. "The results of this study show that topical analgesics were associated with reductions of up to 60% in the use of concurrent pain medications, including oral opioid analgesics,” said Jeffrey Gudin, MD, lead investigator of the study and the Director of Pain and Palliative Care at Englewood Hospital in New Jersey. “Topical agents have the potential to provide analgesic effects without the risk of abuse, misuse, and addiction or systemic adverse events (AEs) associated with oral analgesics. Also, they lower the risk of systemic AEs and drug-drug interactions, have limited systemic absorption, offer simple-dose determination, provide direct access to the target site, and are easy for patients to apply." For the record, Dr. Gudin was paid to participate in the Clarity Science study. Gudin is a popular speaker at pain management conferences and last year received nearly $280,000 in speaking and consulting fees from opioid manufacturers and other drug makers. Clarity Science received funding for the study from several independent specialty pharmacies that sell analgesic creams.